Dana longer protected , which was founded in 1989 , the largest nature reserve in Jordan, where more than 300 km2 of scenic and winding terrain facing demolition pit . 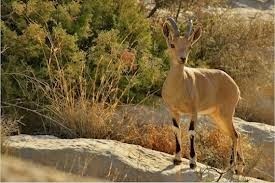 Extending protected areas on the slopes of a number of mountains Qadisiyah area that rises more than 1,500 meters above sea level and down to the plains of the desert of Wadi Araba . Permeate some protected valleys Mountains , which by their nature are picturesque and varied geological structure between limestone and granite. 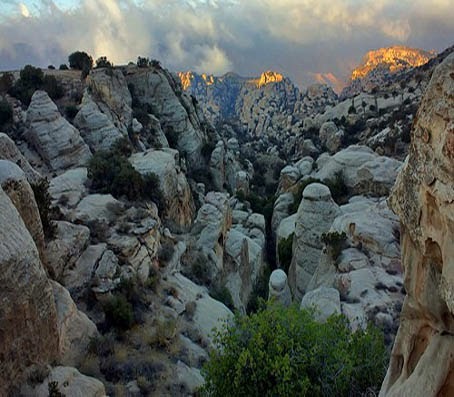 Dana Reserve is the only protected in Jordan, which contains four bio- geographical regions : the Mediterranean region , the region Iran - Ataiwrani , the territory of the Arabian desert , and the Sudanese region . Therefore it is the most diverse areas in Jordan in terms of environmental regulations and plant patterns such as juniper and style evergreen oak pattern and style grew sand dunes and the Sudanese style undergrowth and many others . Also protected characterized as the rest of the Habitat Durable natural cypress forests . Dana embraces protected more than 800 plant species, three of these species can not be found anywhere in the world only Dana protected as the names of these plants in Latin , the word include Dana . Reserve Dana features a large variety of unique and in wildlife , including rare species of plants and animals. It is home to many species of birds and mammals globally threatened , such as the Syrian Serin , Aysag , the Afghan fox , and mountain goats . And is considered one of the best - protected places in the world that support the presence of Syrian Serin , also supports the existence and reproduction of Saqr Aysag . The main threats to the natural environment of the area still include overgrazing , logging , hunting, and fishing in particular hull and Shunnar bird . Where the southern province of Tafila , and also is the third most beautiful regions in the world at sunset .